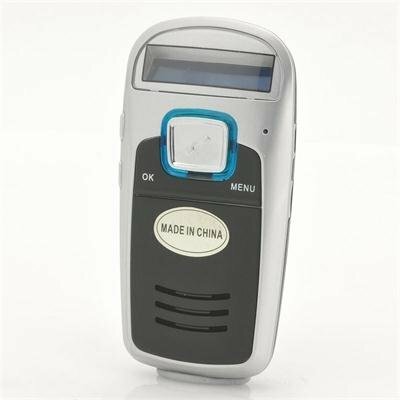 Successfully Added Handsfree Bluetooth Car Kit (Solar Powered) to your Shopping Cart. Handsfree Bluetooth Car Kit with normal and solar charging capability, built-in speaker and FM Transmitter for sound output direct to your car speakers, name and number caller ID and it's even an MP3 player. All hail the King of Bluetooth handsfree Car Kits! Bluetooth car kits allow you to keep both hands on the wheel while you're talking on the phone. Powered by either the battery or by solar power, you’ll never worry about running out of battery power again. Place the car kit into the included windshield bracket which allows the unit's solar panel to face this sun and you have an unlimited supply of talk time! Thanks to the FM transmitter functionality connecting the car kit to your audio system is as simple as tuning into another radio and all sound from the car kit will come through your car speakers! Listen to your callers or your music through your car's own speaker system. Unlike some models that only display your caller's telephone number, this baby displays the caller name too. In fact, it will even synchronize with your mobile phone contact list! And to top it all off, it has a micro SD card slot so you can play MP3s on it - Load some MP3s into a microSD card, slip it into the car kit and drive to your favorite tunes! 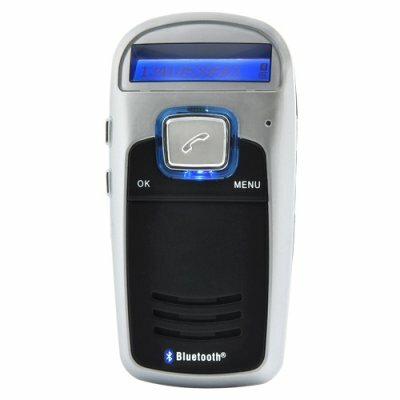 Order this attractive and well-built Bluetooth Handsfree Car Kit today and we'll express ship it to you tomorrow. Brought to you by the leader in online direct from China wholesale electronics and dropshipping - Chinavasion! I have installed this kit today... very light weight and well built, i was expecting something very bad, but it came out with very good design and perfect sound quality. A GREAT GADGET !!!!!! THANK YOU VERY MUCH CHINAVASION .